The military overthrow of Egypt’s first president from the Muslim Brotherhood has raised important questions about the potential use of violence by the Brotherhood. Most members of the Brotherhood’s leadership today are unnerved by this likelihood, however, and are careful to frame their battle in terms of a return to political legitimacy and to a democratic process of which Morsi is a nonnegotiable part. However, not everyone in the MB and its Islamist allies is satisfied with such a response to the events of 2013. For a growing number of Islamist youth the issue is no longer about politics but rather the soul of the Islamist project. They have lost faith not just in democracy, but also in the modern state itself — and in traditional Islamists’ approach to changing it (both the Brotherhood and non-violent Salafis). Some youth are starting to believe that the answer lies in the violent deconstruction of the modern nationalist state. It is important to question the drivers for this possible turn to violence. Is it solely reactionary and a natural byproduct of repressing Islamists? Is it simply taking up arms to accomplish what the ballot box failed to do or to protect the organization at any cost? Previous turns to violence have been characterized by a small core of hardened individuals with uncompromising views toward the world and their fellow Muslims, but can history simply repeat itself today? And so, it becomes important to focus on the power of ideas during periods of transformation, which the Islamist landscape in Egypt is arguably going through. The unprecedented violence and polarization gripping Egypt today has set the stage for an urgent, radical rethinking of the Islamic project’s purpose and direction, specifically by the younger generation. The trajectory is one that increasingly rejects the West and Western-style Democracy, but it is also influenced by revolutionary attitudes in the aftermath of the Arab Spring and the critique of the politically conservative nature of established groups — whether the Muslim Brotherhood or the Salafi Dawa. Islamists are not predisposed to the use of violence. But the majority of these Islamist youth are exceedingly frustrated, with the current situation. More attention needs to be paid to their evolving ideas and how they might influence Egyptian Islamism moving forward. The acculturation of Islamist youth plays a critical role in shaping their worldview and sense of organization and purpose. This even extends to less hierarchical groups like the Salafi Dawa, which has invested heavily in acculturation beyond the mosque, such as catching up with their followers online with a constant stream of sermons and fatwas. But for a number of young Islamists these efforts were never satisfactory, and they embarked on their own process to find answers for the fundamental questions their Islamist parent organizations sought to answer on modernity and politics. As an example, in the past decade, very small groups of intellectually driven and studious youth have developed a counter discourse to the Brotherhood’s tactical adoption of democracy (as they see it). These groups explore issues of religious and national identity and the compatibility of modernity with Islam. Across Egypt’s campuses, youth have been founding new forums to reassess Islam’s answers to the mounting problems facing the Ummah. One such forum that attempts to constructively examine these issues is the Model Organization of Islamic Conference or MOIC. Its mission statement emphasizes the students’ desire to find “balance” in the face of what they call “the challenges of Westernization.” In the early years of MOIC topics of discussion focused heavily on regional Muslim issues, but in the wake of the January 25 revolution, discussions progressively honed in on the effort to reconcile nationalism, Islamism, and modernity. This process is most influential with youth who drifted away from the Muslim Brotherhood, which they perceived to be archaic and unequipped to answer their questions. These youth are of course following in the tradition of such 20th century thinkers as Malik Bennabi and Abdul Wahab el-Mesiri who were concerned with what they saw as the fall of Muslim civilization and critiqued secularism. What distinguishes today’s young thinkers, however, is that they are less theoretical and have focused on projects and workshops that have allowed them to challenge their ideas on state and politics — independent of their parent organizations and in sharp contrast to the comprehensive acculturation process they may have undergone in the Muslim Brotherhood or Salafi Dawa. There has also been a rise of so-called “intellectual Salafis.” Their views might be orthodox, but their approach is radically different from traditional Salafi sheikhs. Some join new youth-led groups like Mirfa (Knowledge), which focuses on shaping a “new generation of youth who believe that knowledge is the basis for renaissance…and shaping the social consciousness.” These groups usually hold workshops and talks that cover everything from civil-military relations to reestablishing the Islamist movement. One of the more active members of the group is a former student of Yassir Burhami. Although he remains a self-described Salafi, he describes Burhami as becoming out of touch and not scientifically equipped to answer complicated questions facing the Ummah. Other more politically minded youth study Western texts and the modern history of secularism in-depth, focusing heavily on neo-Marxist theory like that of the Frankfurt School for its critique of the modern Western state. They arm themselves with these critiques to challenge what they say is Arab secularists’ and Islamists’ misguided desire to implement Western-style democracy as a vehicle for modernization. They concede that secular democracy has its merits, but argue that it is fundamentally incompatible with Muslim society and history — for it lacks the enriching component of religion. The gradually rising popularity of this modern Islamist approach is striking. In recent interviews in Egypt designed to focus on the political future of Islamists, younger interview subjects quickly dismissed the political nature of the current battle as a shortsighted characterization and the term “Frankfurt School” was perhaps mentioned more than Morsi in some conversations. Many of these youth were critical of the Muslim Brotherhood’s approach even before the coup. They accused the movement of falling into the trap of equating modernity with material gains — evinced by the Brotherhood’s obsession over the concept of Western-modeled economic and industrial renaissance that lacked the proper Islamic component of moral values. Some youth argued that the Brotherhood’s quest for power only served to provide an Islamic cover for an inherently un-Islamic state. These youth have translated Western texts on “moderate” Islamists and think-tank reports recommending strategies to engage Islamists as proof of Western designs to manipulate democracy as a tool for neo-colonization and subversion of the Islamist project. To them, the MB is either complicit or duped. The only venue other than the Internet and the forums that debated these views was a television show called In Reality, which aired on the Islamist Amgad channel. In Reality’s host was a controversial young Salafi named Hossam Abu el-Boukary. His show provided perhaps some of the most scathing repudiations by young Islamists of the Brotherhood’s adoption of Western-style democracy. Yet, last summer, Boukhary was a fierce defender of Morsi and his vitriolic speeches in Rabaa landed him in jail.Boukhary used his knowledge of Christian texts and Western discourse toward Islamism to launch rabid, sectarian attacks on liberals and Christians in various talk shows that he frequented. This contradiction may shed light on the often-conflicted nature of some of these emerging thinkers as they struggle to be a voice of revivalist Islam. However, the uncompromising attitudes of Boukhary and others signal a frustration with society and the political order — Islamist and non-Islamist. The overwhelming majority of the youth described above do not advocate for violence, but their discourse and activities, which have continued after the coup, prove a challenge for the Muslim Brotherhood and the Salafi Dawa. The former is deflecting critique and serious reexamination of its purpose due to repression, and the latter has chosen physical survival over anything else. But, what is of concern is that some youth who are influenced by this revivalist intellectual discourse are now arguing that the use of violence is justified against the state to end oppression and build a new state. This in itself is a sharp departure from the intellectual process discussed above, since none of the organizations or young thinkers have ever explicitly made the case for confrontation or violence. The dynamics of the current state of affairs in Egypt, however, does not make the intellectual leap too great to come to terms with a reality that conditions can only change or improve with a radical change in the system of power. Thus, coming to embrace violence as a means to an end, but still very much separate from and different from Jihadi interpretations. To some of these youth, the coup not only symbolizes the failures of the traditional Islamist approach, but it also symbolizes the penalty for the Muslim Brotherhood’s failure to take action to confront the corrupt state years go. These youth capitalize on present reactionary violence against the police and attempt to escalate it while pushing other youth, especially those still following orders inside the Brotherhood, to adopt violence as a strategy. In their view, Egypt is ruled by an exploitative military empire, which extracts resources through the intelligence services, the police, and entrenched business networks. They argue that Egypt is a nationalist state that serves the interests of and is manipulated by the West, which forbids any real progress, especially the Islamist revival. In order to succeed in deconstructing this state they must appeal to the poor and marginalized to fight alongside them against the state in a sort of armed populist insurgency. Their idealist understanding of the power of Muslim values leads them to believe that in a protracted period of anarchy, citizens will police and govern themselves as their reliance on the centralized government ends. From there, society can be rebuilt and perhaps establish an Islamic democracy based on an Islamic variation of popular legitimacy, as it breaks free of the nationalist state and Western hegemony. It remains unclear whether these calls for violence will resonate widely, but it is important to understand the ideas shaping them as the window for any talk of political reconciliation closes. It is also important to explore the possible impact of this revolutionary strand and what possible impact it might have since violence is not and will not only come from Sinai based jihadi groups and affiliates. Furthermore, even if the promised violence by some of these youth is contained, their ideas will unlikely change toward their parent organizations, which are increasingly under pressure to respond to the challenges raised by these youth. Mokhtar Awad is a research associate on national security and international policy at the Center for American Progress. Author interview with ex-Muslim Brotherhood youth, Cairo, December 2013, in upcoming Center for American Progress report. A review of Malik Bennabi’s views on democracy can be found in: “Islam and Democracy in Malek Bennabi‘s Thought,” The American Journal of Islamic Social Sciences, Vol. 15, No. 1, spring 1998, pp. 107-112. 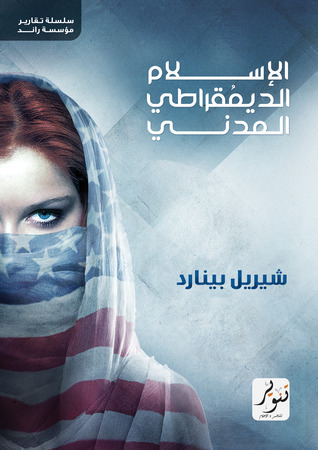 Author interview with ex-Salafi Dawa youth, Alexandria, December 2013, in upcoming Center for American Progress report. Author interview with ex-MB youth, Alexandria, December 2013 in upcoming Center for American Progress report.